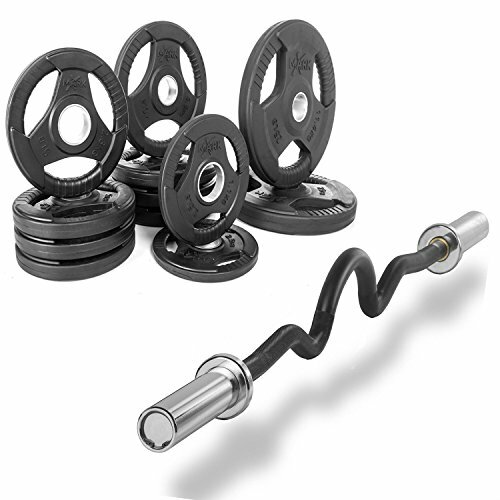 XMark Fitness Combo offer Olympic Super Curl Excercise Bar With Premium Quality Rubber Coated Tri-grip Olympic Plate Weight Package (XM3683Black-XM3377BAL115) by XMark Fitness at Strongman Pictures. MPN: XM3683Black-XM3377BAL115. Hurry! Limited time offer. Offer valid only while supplies last.